IndiaStack can enable the government, the citizens and entrepreneurs to interact with each other through an open digital platform. At a time when financial technology is changing the face of Indian banking, the government is looking to bridge the digital divide. 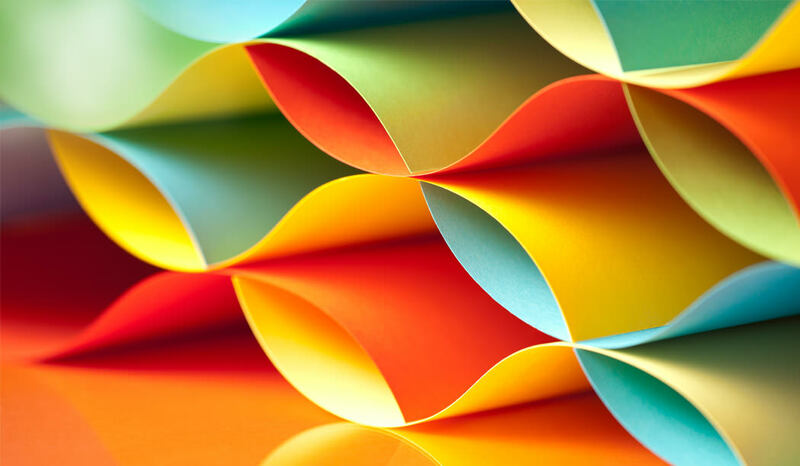 The biggest hurdle here is paper-based authentication and approvals. To bridge this gap iSpirt is working with various government agencies to develop IndiaStack. IndiaStack is a paperless and cashless service delivery system being conceived by a digital think tank iSpirt. It can enable the government, the citizens and entrepreneurs to interact with each other through an open digital platform. It is the largest application programming interface that is being developed in order to enable 1.2 billion Indians to get access to goods and services digitally. It was conceived by the government of India in 2012 when they realised, in order to help services reach the last mile of the Indian population, it needed private technology solutions to be built on the Aadhaar database. The project is being pedalled forward by Nandan Nilekani the ex-chief of Unique Identification Database Authority of India, who describes it as the “Whatsapp moment for Indian banking”. The government has been striving for a less cash economy to prevent pilferages and last mile connectivity of financial services. While the Aadhaar database allows users to complete all KYC requirements, there is still a gap in getting approvals because of the need for a signature on paper. IndiaStack will be able to bridge that gap through its digital lockers which will allow for digital signatures and seamless API (Application programming interface) integration for authentication through eKYC. IndiaStack is conceived as a pyramidal structure based on the Aadhaar database as the base and unified payments interface (UPI) that is being developed by NPCI (National Payments Corporation of India) as the top. The two middle stacks comprise digital signatures and eKYC. Nilekani has explained that with the help of digital signatures customers will not need to actually sign a paper document, instead it can digitally sign it by using a smartphone. eKYC will also enable the identity of the customer to be determined digitally as well. The biggest benefits could be completely digital payments through the UPI infrastructure for a less cash economy. Also, loan approval through eKYC and digital signatures could be done faster in a paperless fashion. Both these steps can bring people without access to digital payments to come within the digital fold. India’s digital startups have an analog problem. They face a kagaz ka pahad. Literally. Many of them are designing for the digital desh of Bunty, the 37-yearold Udaipur shoe-seller who gets 40% of his business on his smartphone. Or, Chaitanya Bharti, Guntur’s 30-year-old single-room school teacher who gets remittances on her basic phone. But every time they collect and store paper records, scrutinise “wet signatures”, and handle lots of physical cash, they can’t grow as fast, be as affordable or innovate to create the digital desh Bunty aur Bharti aspire to. There is good news. The JAM trinity — a basic account like Jan Dhan, Aadhaar and mobile phones — makes it possible for digital services to reach every Indian. JAM is much more than aslogan — it is the result of public policy and technology that made this foundation a reality. With that foundation in place, public policy can go further. It must go further. The Stack has four layers: (1) a presence-less layer where a universal biometric digital identity allows people to participate in any service from anywhere in the country; (2) a paper-less layer where digital records move with an individual’s digital identity eliminating the kagaz ka pahad; (3) cashless layer where a single interface to all the country’s bank accounts and wallets democratises payments; and (4) a consent layer which allows data to move freely and securely to democratise the market for data. Each layer has a specific technology — Aadhaar authentication and eKYC, eSign and Digilocker, Unified Payments Interface, and consent architecture — with corresponding public APIs, under India’s Open API policy. You can go to indiastack-.org to participate. Each layer is managed as a public good. This is important. This makes the India Stack not just new-age technology but a smart policy. Technology stacks are not new. Uber, the highest valued startup on the planet, rose to success on GPS, Google maps, electronic payments and more. Guest Post by Kabir Kumar leads FinTech initiatives at CGAP. 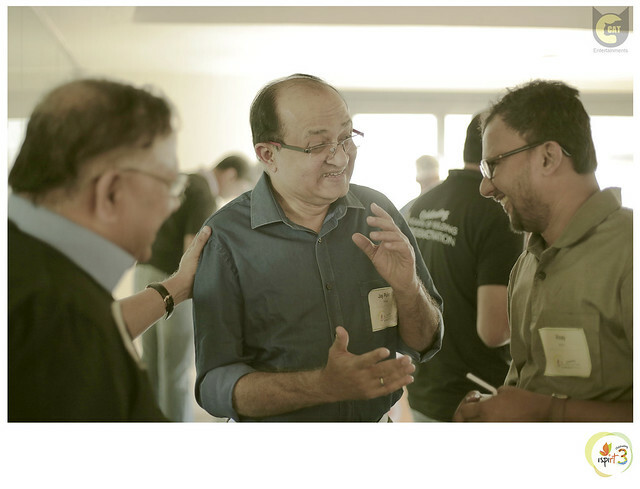 Sanjay Jain is a volunteer with iSPIRT Open API team. On Saturday, I was going to attend 3rd year anniversary event of iSPIRT On the way on my bus to meeting, my mind was filled with varied thoughts about 2010 or earlier, when I was outsourced product start-up employee. Looks like little time ago, 6 years has passed from 2010 when I met the volunteers of NPC. Sharing comments to volunteers (Avinash, Rajan, Vijay, Manju, Suresh) on lack of “Made in India” products, I learnt that their thoughts were similar and more advanced. In addition, while I was talking, they had larger dream to create ecosystem where tech geeks are proud of creating products and the first baby step to create pride to come with products was NPC event. All programs and events are free for participants. Participants apply to attend program or event with details about their startup and applicant registration is approved based on their suitability to programs theme and approved participants attend event for free. Programs and events focus to impart learning for a category of start-ups that are present in specific stage of their journey namely start-up enthusiasts, Discovery, Product Market Fit and finally Scale To Grow. The session shared that iSPIRT is offering 3 learning programs and 3 knowledge events. I did not realize that I myself have been attending some of these events. I still see absence of programs and events for the Discovery stage yet, difficult and tricky stage to cross. iSPIRT has come with a matured structure around programs and events termed KASH Playbook Framework. Playbook are no more a program and had become umbrella representation for all programs. What does KASH represents? Been an entrepreneur, I can relate with KASH as learning theme for programs offered to entrepreneur’s because all programs aims to impart entrepreneur to gain knowledge, develop a mindset, learn skills, identify habits and practice the same to empowers entrepreneur in current stage to create/generate KASH leading to transition from current stage to next stage. My view of RoundTable is to help happy & confused startups with product market to scale business. I learnt RoundTable (K, S) continues to be an informal closed door interaction (~4 hour) among entrepreneurs and practitioners facilitated by saddle entrepreneur to learn tacit knowledge & skill. Roundtable started as first program of iSPIRT in 2013. 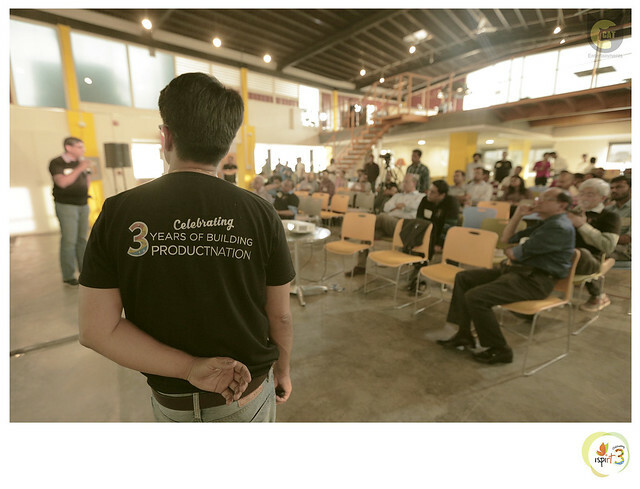 My view of PNGrowth is to help scaled startups with product market fit to grow leaps and bounds. 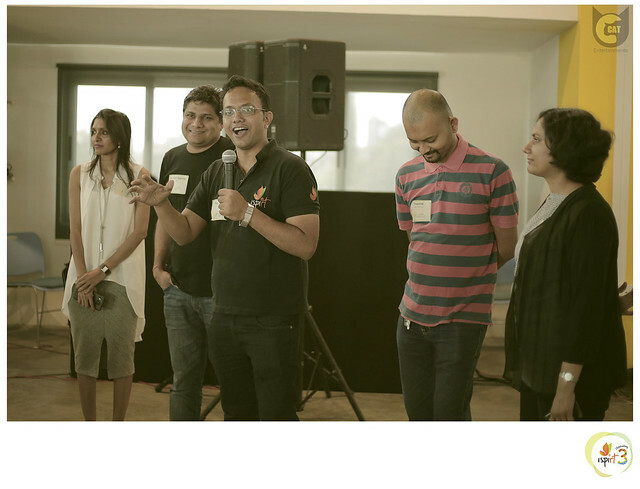 I learnt PNGrowth (A) is 3 day bootcamp to shake up and instill ‘Panga’ Mindset requisite for category leadership, followed by a 1 year community support. The first program was in 2016 at Mysore The 3 learning events Innofest, SaaSx, InTech50 are focused on large participants. My view of Innofest is to help creators to explore possibility to transform their creation/hobby in to business. 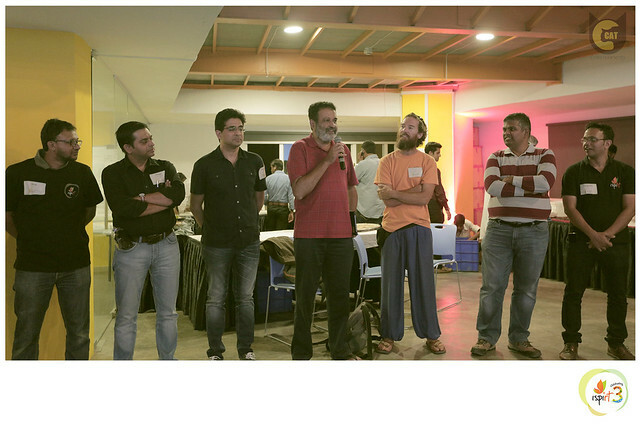 I attended the first I attended the first Innofest (A) that happened in Aug 2015 in Bangalore and nice to hear the event travelled to Hyderabad. I wish that sure more cities are eager to conduct event to help innovators take pride in their products and show case them, get feedback of their application in reality. This is “No copy paste entrepreneurship”. My view of SaaSx is that new entrants gain insights in to the tribal knowledge of experienced SaaS folks which helps them to make their offering better more efficient. 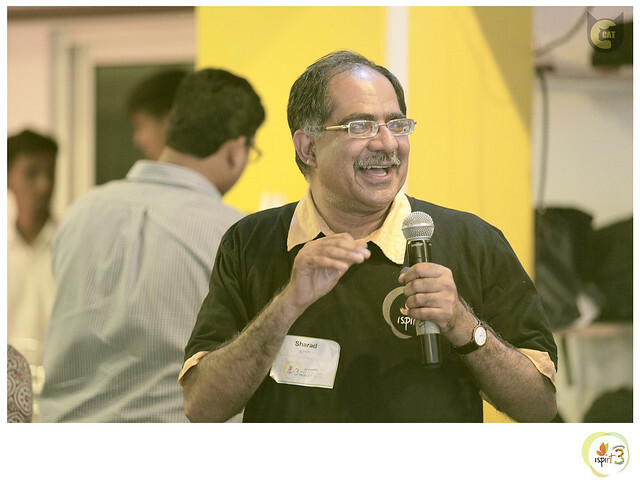 SaaSx(K) event is to create & nurture community of SaaS entrepreneurs in India at the SaaS capital of India – Chennai. 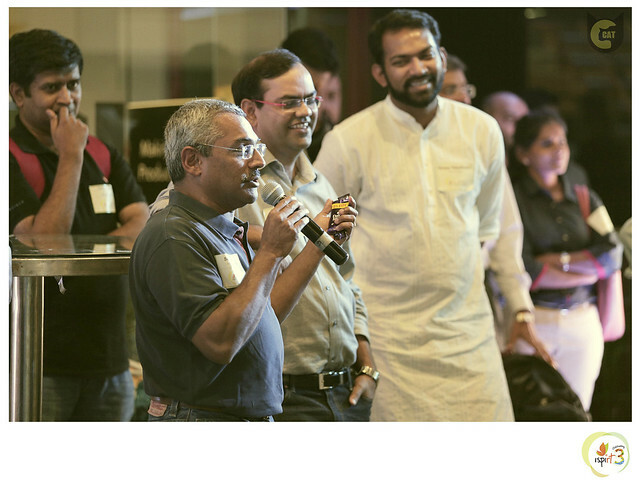 The first event happened in Chennai in 2014, followed in 2015, which I attended and can vouch for the fact that SaaS entrepreneur’s shared their deep intimate learning with others. My view of InTech50 is as experiment with difference. Instead of startups working hard to engage and partner with large corporates with their product offerings, can we make corporates to come together and engage with startups and share feedback and evolve in to partnership. Reversing approach of startup Push model to build relationship and engagement to Corporate Pull model. InTech50 showcases software products created by Indian entrepreneurs, with aim to help software product companies to enter global markets via our network of early adopters, partners, co-innovators and investors. Companies apply and Chosen companies receive advice, on-going mentoring, product marketing support, and funding to scale in the global markets. This program comes with a cost cover expenses for two attendees and event logistics. Another session I focused was on “India Stack: Powering thousands of experiments”. Before jumping to understand India Stack and session contents, it is good to start with some history in India of how absence of legacy era in telecom and internet has become Indian advantage over time. With absence of telecom legacy, India skipped analog era and leapfrog to digital era of STDs, leading to leapfrog to mobile usage. With absence of internet legacy, India skipped PC based internet and had leapfrog to era where internet technology is available to every Indian via mobile (computing device of choice). Look at the money savings for India from not having to spend to build legacy infrastructure that becomes obsolete with advent of new technologies and money goes waste. This enables every Indian to access and consume service offered by internet software and mobile apps over internet. It is time to dream and create experiments to leverage this leapfrog benefit to enable Indians to leapfrog to make use of digital applications and the Indian government has jumped in to same with Digital India campaign. One see two fundamental changes happening. Every Indian can access and use mobile apps, with mobile phones in hands of every Indian. Every Indian is getting used to electronic banking and payments fueled by e-commerce players. iSPIRT wants to dreams along with Indian government with belief that this is right time that Indian entrepreneur’s need to leverage Digital explosion wave expected in India soon. One can dream in terms of how technology can be leveraged to create financial inclusion, how apps can create positive interventions in areas of education and health care. When you dream, you are motivated with the potential to leapfrog tech-starved Indians to tech- savvy Indian. Dreams are ideas to start with. Dreams need to follow with action to reality. For such a dream to happen, iSPIRT has seen itself a role to contribute to seamless working between entrepreneurs and with government agencies and regulators and has started to proactively engage with government. This joint engagement with stakeholders of Indian government enabled iSPIRT to propose 4 recommendation to serve as backbone for Indian government to realize the dream of Digital India. 7 key principles for to be adhered for implementing Digital India programs. India Stack to serve as baseline for implementing Digital India. Software interoperability: APIs are recommended for all e-governance applications and systems, enabling quick and transparent integration across these applications and systems. No Government Silos: Information and data shall be shared through a secure and reliable sharing mechanism across various e-Governance applications and systems. Data available to public: Make people’s data public. Provide APIs to enable people to view data. iSPIRT has recommended these 7 key principles to be followed in developing application by government and integration layer with government applications. The 3 learning programs IKEN, RoundTable and PNGrowth are focused on limited participants. My view of IKEN to help startup enthusiasts aware of challenges to enable self-assess of their strengths and to identify needed self-improvements. I learnt IKEN (S, H) is a 10 weekend boot-camp for early/Novice entrepreneurs and startup enthusiasts and focuses on life skills of an Entrepreneur along with business skills. 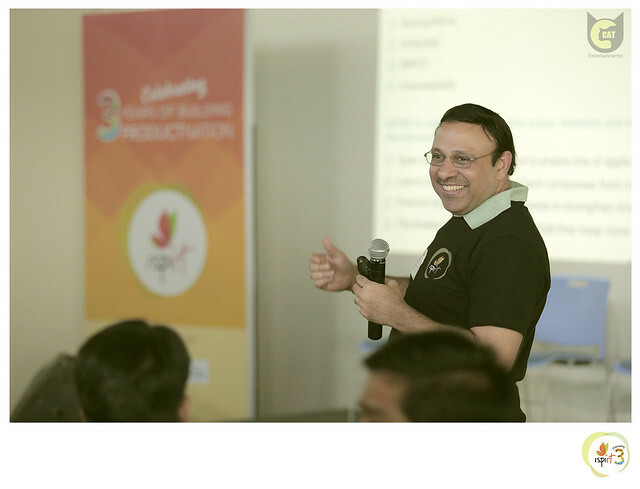 The first program was created in 2015 in consultation with effectuation with Prof Saras and happened multiple times in Bangalore. Based on OpenAPI Policy and guideline principles, here is robust technology stack recommended for creating innovative solutions to India’s hard problems. With payments being accelerated by regulatory Innovation and a continuous rise of smart phones, here is robust solution stack recommended for developing Digital India applications. Supporting entrepreneur’s with learning that they need and that is not easily available. Focus to get feedback for their initiatives and working to bring a structure to their work. Contribute by promoting and facilitating the use of IndiaStack creating curiosity and real interest. If APIs are made open, secure and available for developers (through sandbox), I am sure iSpirt would jump to volunteer to evangelize IndiaStack APIs and promote IndiaStack APIs through Hackathons and developer Events. To end with, Saturday meeting made me realize that iSpirt has matured from an unstructured volunteer initiative for entrepreneurs and is on the path to become think tank to create product nation.